Om Factory's unique Kids Aerial Act Creation Series is back this Spring!!!! Budding aerialists journey from practice to performance, culminating in a final Aerial Performance Recital. Only a few spots remaining in our Friday section — hurry to reserve yours! Om Factory's Kids Aerial Act Creation Series challenges budding acrobats to take skills from their aerial practice and combine them with elements of dance, theatre & creative movement to produce their very own act — and then perform it for family & friends at the final recital! This workshop meets on five Fridays OR four Sundays, culminating with a performance at Om Factory’s Spring 2019 Kids Aerial Recital. Registering students must be available for all 4 sessions & dress rehearsal. This semester, the theme of our recital is “Beetles, Bugs & Flies, Oh My!” Our kiddos will use their creative circus crawls to move from the ground to the sky — come see what all the BUZZ is about! Cooperation, Communication, Conditioning, Choreography & Costumes! Prep-Work is as easy as 1-2-3! Then dream up anything their imaginations wish to explore! Doors open at 1pm / Friends, family & all Om Factorians are welcome! $10 suggested donation. Reception & photos to follow. and being on stage. The opportunity to perform in front of an audience boosts self-confidence in everything our mini-aerialists do. They've honed their craft, incorporating memorization, rhythm, technique & teamwork, and can't wait to showcase their routines. Entrance includes a chance to win one of our exciting raffle prizes! 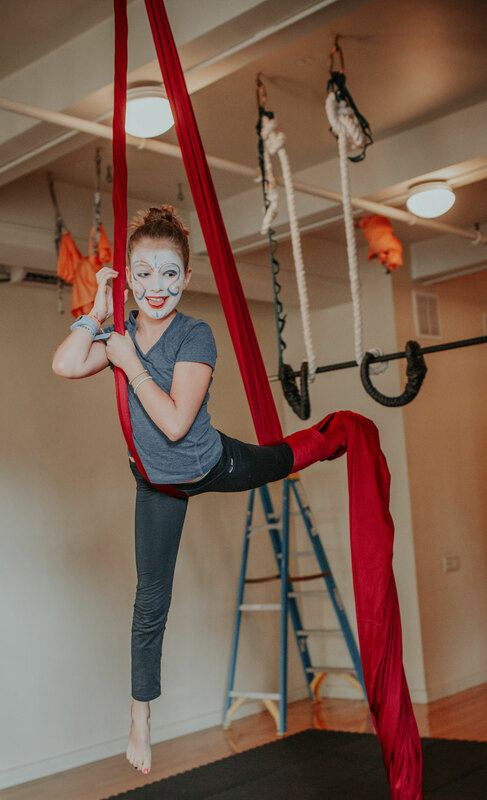 Join the circus at Om Factory's 3rd annual Kids Aerial Circus Camp! This summer we've extended to a fun-filled 10-day adventure with instructor Liz Minnick. Aerial Circus Camp meets Monday - Friday, 9 - 12 daily @ Union Square. Space is limited — enroll today! After Liz’s Kids Aerial Dance class! 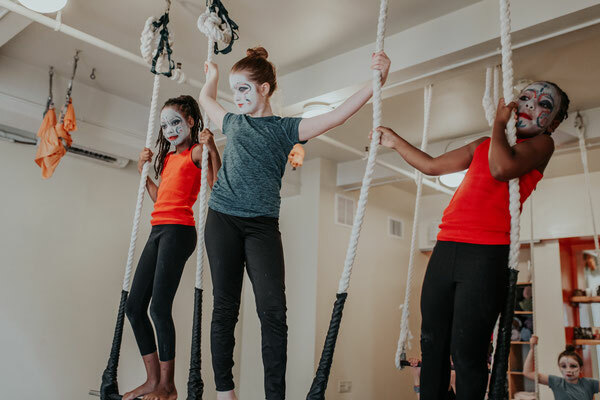 KIDS AERIAL CIRCUS CAMP 2019! 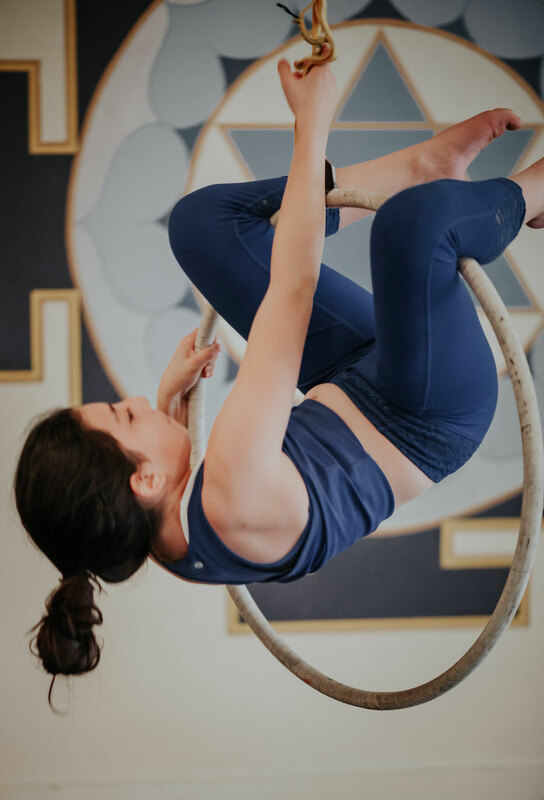 Liz and two guest instructors will introduce your child to the wonderful world of Aerial Circus, Acrobatics, and teamwork as they build solo and group acts. 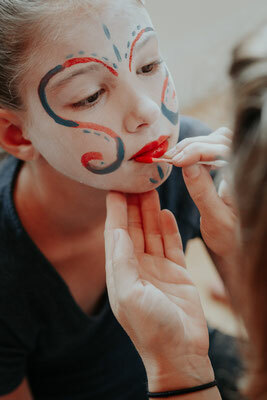 Each day will include themed cirque-style classes, creative movement, and activities centered around aerial acrobatics. Enroll in one session or both! Family & friends, come take in the talents of this summer's performers! • Ages 6 - 14 may participate. • All experience levels are welcome! Enrolling in OFSY's Aerial Yoga Teacher Training remains the second best decision of Liz’s life... the first of course, was to run away and join the circus. 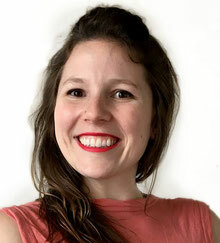 Working with Cirque du Soleil and their outreach program Cirque du Monde brought Liz all over the world and eventually landed her at Om Factory in New York where Liz teaches aerial yoga, dance, fitness & Lyra to both children and adults. 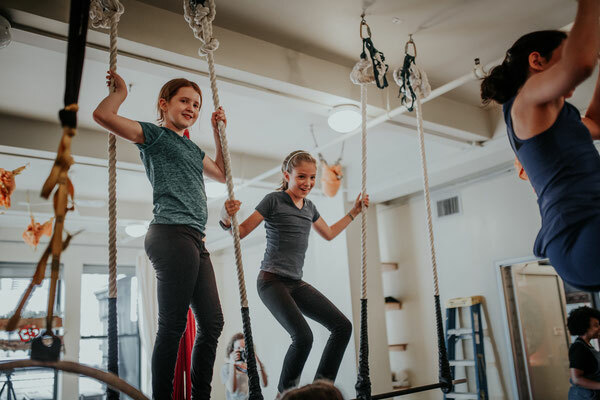 development of Om Factory’s Kids' Aerial Yoga Program.